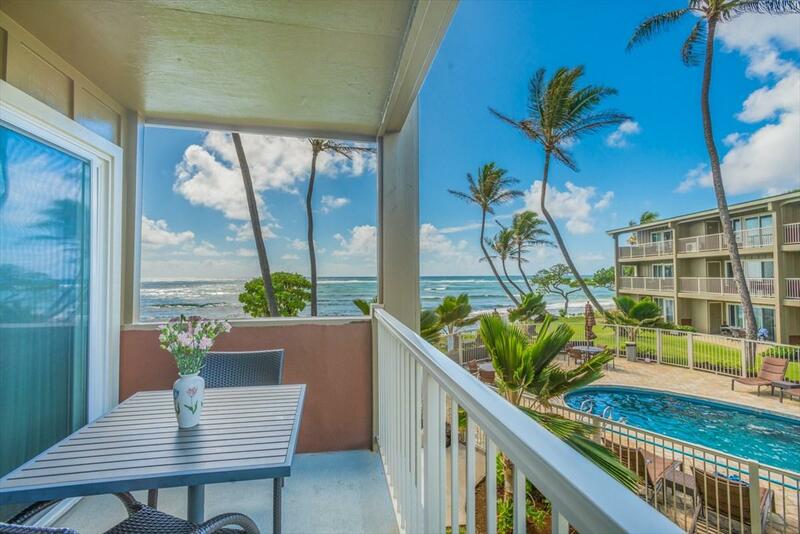 Kauai Kailani #213 is a second floor end unit with mesmerizing ocean views. Located on the Coconut Coast in Kapaa Town and in the "A building on the ocean. This condo has natural light and is the perfect mix of modern styling and Garden Island charm. 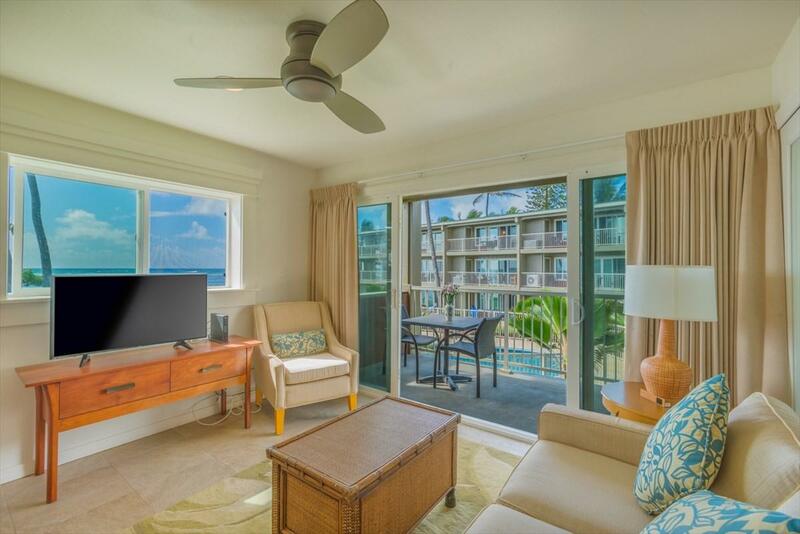 Fully furnished and consisting of two bedrooms, a full bathroom, open kitchen with living area and a rear lanai with ocean views. 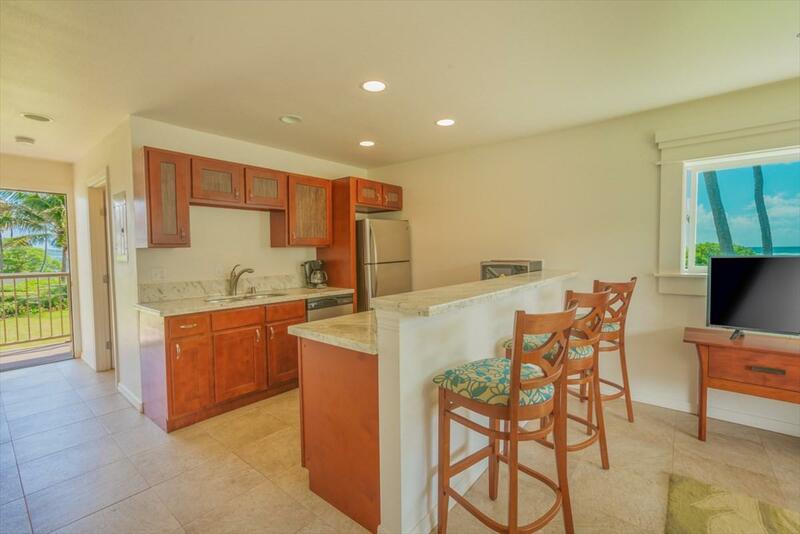 The designer kitchen has features like granite counter tops, stainless appliances and tile flooring. Bedroom one has a king-sized bed with modern carpet, the second bedroom has a pull out sofa bed, tile floors and sliding doors. The full bathroom has a granite counter top and tile floor. This is a second floor end unit with a large lanai with ample seating and great ocean views. Unit #213 comes with a parking space. 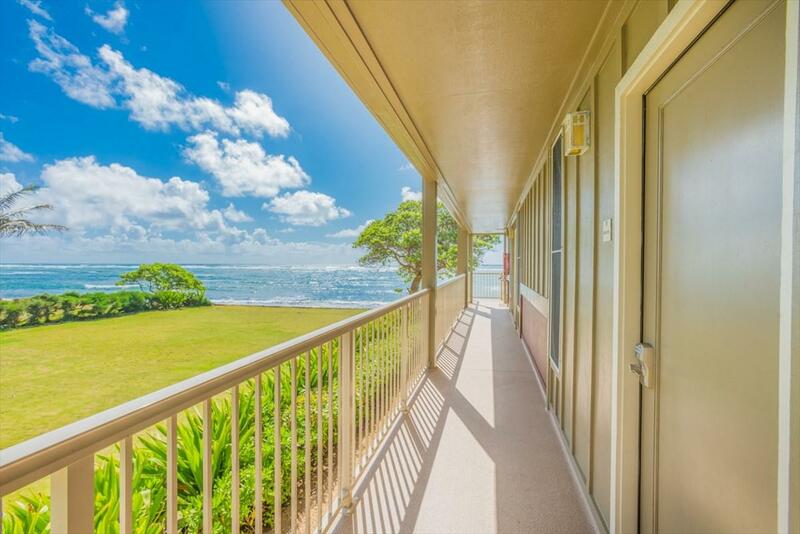 Building "A" has an elevator for convenience.Kauai Kailani property features 2 pools, two barbecues, recreation room, oceanfront parcel, and close proximity to shopping, restaurants, bike path and much more.